People fear a drink will drive them over the permitted blood alcohol limit. People are afraid to have a drink in pubs in case it will push them over the safe driving limit. So says publican John Duignan of the Tally Ho pub in Longford. Duignan claims that figures used by Ross, the Transport Minister in assessing the extent alcohol are a factor in road crashes are incorrect. Publicans report that the licensed trade is being severely affected by the new measures. Council triggers boil water alert. Cryptosporidium is back in South Sligo’s public water supply. The parasite has seemingly either managed to dodge the extensive sampling and scouring works carried out under the direction of Irish Water less than a year ago or has newly arrived from some outside source. In any event, its unwelcome presence is affecting a swathe of areas serviced by the Lough Talt and Ogham schemes. Places named on Sligo County Council’s website include Curry, Killoran, Carrowcushely, Glenn-Kinnagrelly, Carrownacarrick, Kilmacteige, Bellahy, Achonry, Talt-Castleoye Trunk, Aclare, Tobercurry, Kesh, Achonry-Ballymote Trunk, Moylough, Templehouse, Ballymote, Muckelty, Rockfield, Annagh, Oldrock, Cloonacool, Quaryfield, Banada, Killavel, Branchfield-Collooney and, in Mayo, Cloontia, Quarryfield and Doocastle. People taking their drinking supply from the schemes are being warned to boil the water. The parasite is a nasty affair that causes the diarrheal disease cryptosporidiosis. Symptoms include watery diarrhoea, dehydration, lack of appetite, stomach cramps or pain, fever, nausea, vomiting. 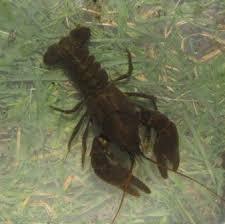 As the parasite is protected by an outer shell it very tolerant to chlorine disinfection. 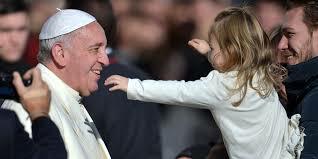 It is especially dangerous for young children, immunocompromised individuals and the elderly. Anyone suffering from diarrhoea for more than two days should contact their general practitioner, says the council. So, what has happened that last year’s scouring of the waters has failed to prevent the parasite showing up 11 months later? Is it of human or animal origin? The council’s website does not provide the answers. 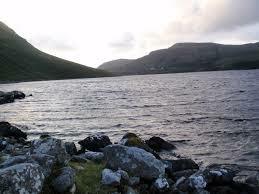 Lough Talt ….home to State guarded white-clawed crayfish. Councillors are heard to be complaining, with one even saying planning permission must be pursued for the provision of a new plant. All well and good, of course, but isn’t there some problem to do with the site of an EU protected snail population in the vicinity of the Talt? Between the snails and the parasite then, it looks that the entire region of householders and businesses will have to suffer on yet again. Not good enough by any measure. What can be expected, however, is that TD’s will now come under pressure to have government get off their arses and finally deal with the ridiculous long-time danger to public health in the region. People are advised to look up the county council website for more information surrounding the boil notices and the measures those reliant on the Talt and Ogham water schemes are being urged to observe. 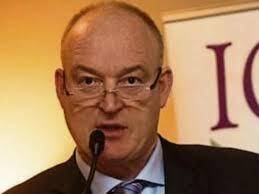 ‘Rotten and stinking deal done by the Irish Postmasters Union’ – McGrath. The virtual wipeout of the post office network continues to generate heated debate in the Dail where last night a Donegal TD lashed the “deceitful way” in which the rural service is being killed off. Closure of the offices will mean “people will have to walk or cycle or perhaps use public transport, if it is available. I refer to 15 km. “The people of rural Ireland, and particularly the people of my county, have been conned by this Government. Calling it “a very sad day,” he also strongly criticised the absence of Communications minister, Richard Bruton from the Dail. “If the Minister has a duplication of business, it means this is less important than the business he is now attending to. To us this is the most important business being discussed in this House today. It is a total insult to us as Deputies and to rural Ireland that this is being done. It is just not good enough. We are not prepared to accept this. losing their post offices. The Minister would not even come in here, which demonstrates his disdain. “I have written to the four Fianna Fáil Deputies, including Deputy Michael McGrath, who are renegotiating the confidence and supply agreement. If Fianna Fáil cares about rural Ireland, with the Government it will prioritise these post offices and disband this cabal of people on a so-called independent inquiry team. Its members had neither the manners nor the respect to write back to our committee in Newcastle, which has gone about its work diligently and honestly. Acting Chairman Deputy Eugene Murphy: The Deputy has gone way over his time. Canney said he couldn’t make a commitment on behalf of the Minister (Bruton) “but I will bring to him the Deputies’ request to meet an all-party delegation. 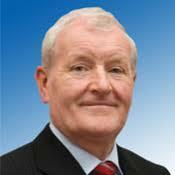 No Fianna Fail local elections ticket for Queenan? Councillor proposes to run as Independent. It is believed that Fianna Fail has refused to add Sligo councillor Joe Queenan to its party ticket to contest the 2019 local elections. Enniscrone-based Queenan, a long-time member of the party, and a former chairman of Sligo County Council featured with two other councillors in the RTÉ Investigates Standards in Public Office programme in December 2015 following which he was called before the Standards in Public Office Commission public hearings earlier this year. 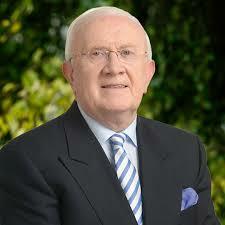 He resigned from Fianna Fail. The outcome of the SIPOC enquiries is not yet known. 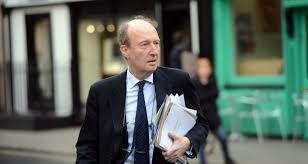 One of the three councillors has reportedly taken a High Court action against RTE. 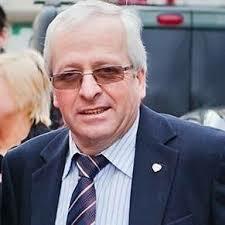 Queenan was this year elected chairman of the Ballymote-Tobercurry Municipal District. He is said to have indicated that pending the conclusion of the SIPOC process he intends to run as an Independent local elections candidate. Questioned by Sligo TD, Tony McLoughlin about the efforts being made to safeguard the Irish fishing industry in the context of Brexit, Minister for Agriculture and the Marine Michael Creed said the key priorities for Ireland will be “the maintenance of current access to fishing grounds in the UK zone in the Irish Sea, the Celtic Sea and north of Donegal.” The protection of Ireland’s existing quota shares will also be a priority. Creed said his continued objective is to ensure that the implications for fisheries are fully taken account of throughout the negotiations for a future EU-UK relationship. He added that the actual agreement on a future relationship could only be finalised and concluded “once the UK has become a third country, that is after it leaves the EU on 29 March 2019. This is why a status quo transitional arrangement is so important. Of course, it is in the interest of everyone that a future relationship agreement is concluded as quickly as possible after the UK leaves the EU to provide certainty sooner rather than later.